Join Jane for a blissful yoga long weekend in beautiful North Cornwall. 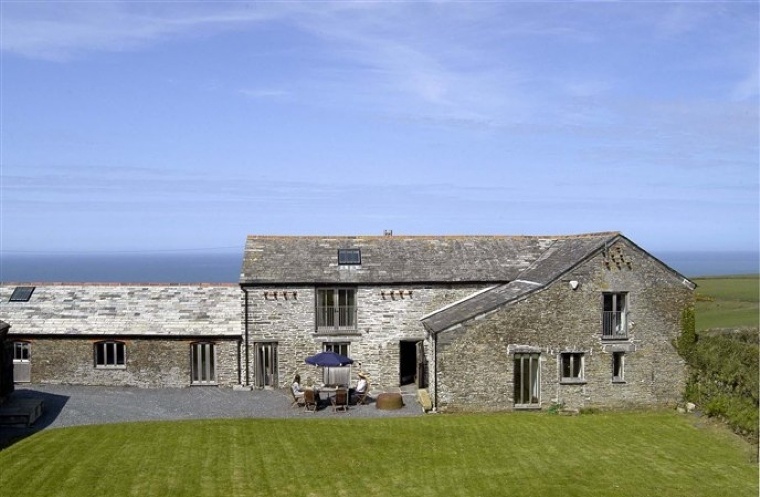 Minutes from Tregardock beach, you will stay in a converted Grade II listed farmhouse and buildings, enjoy daily yoga and meditation classes, delicious food and good company. Surrounded by acres of green fields and with the breath-taking views of the Atlantic Ocean, this beautiful venue is perfect for those truly needing a break from it all. 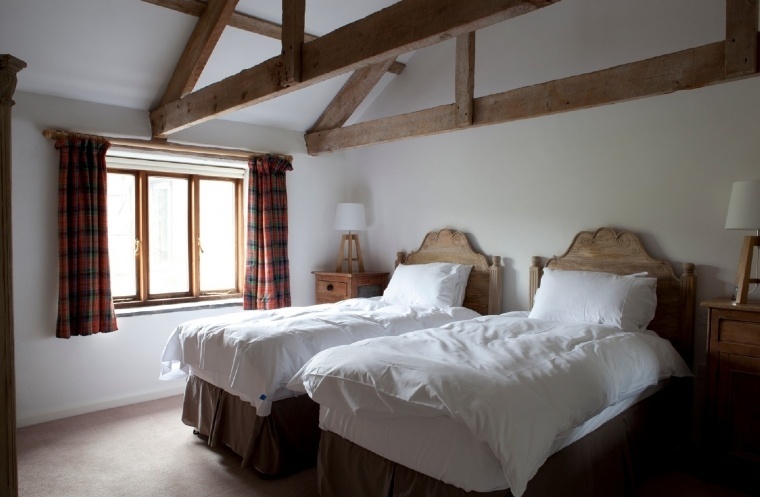 The venue itself is a collection of grade II listed and converted farm buildings set around a grassy courtyard. 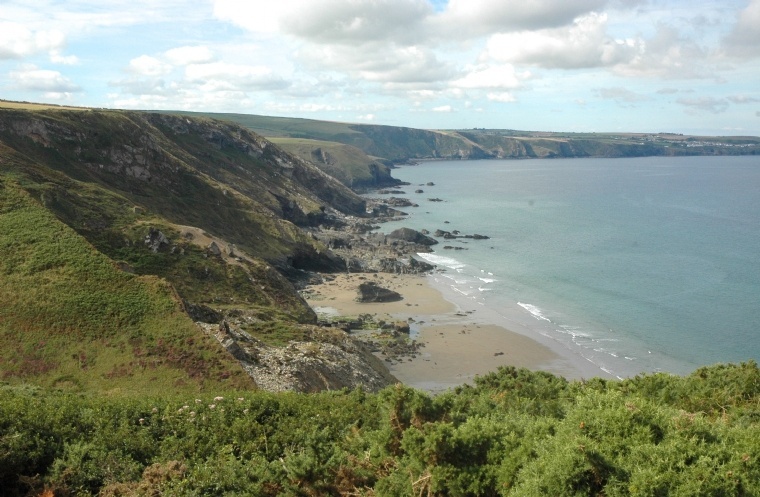 Terraces and gardens provide incredible views over the beautiful Cornish coastline. There is plenty of space to rest, relax or read, and meals are served at the oak table in the kitchen. We will practice our yoga in a separate yoga space adjacent to the house. As on all of Jane’s retreats, the yoga is suitable for all ages and abilities – everyone is welcome whether you are an experienced yogi or a complete beginner. Jane is a senior yoga teacher with over 14 years’ experience and a qualified yoga therapist (for more information please see the ‘About Jane’ section of this website. This is an opportunity for you to unwind, relax, enjoy yoga breathing techniques and practice a wide range of yoga poses and meditations in a peaceful, calm and totally secluded environment. Share a beautiful bedroom with its own bathroom. All bed linen and towels provided. Single occupancy +50%. 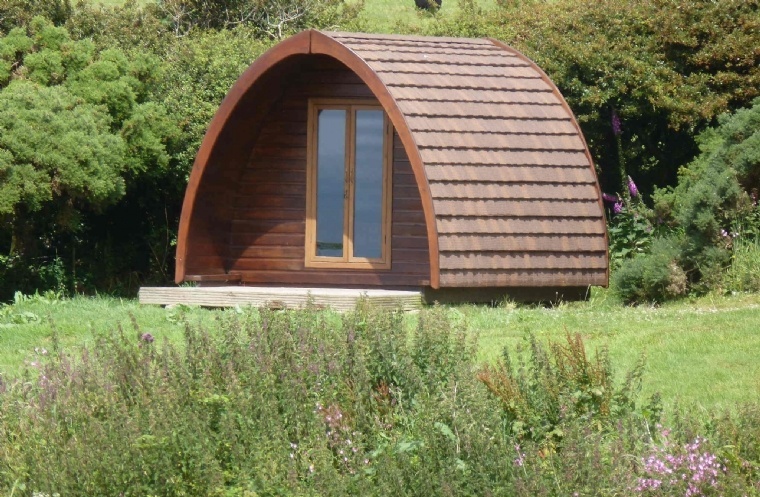 £290 if you share a pod with someone else – But note that you will need to be close friends! 6 yoga classes throughout the weekend. A mixture of dynamic and restorative yoga practices. Breathing ( pranayama) and meditation will also be an integral part of the yoga taught on this weekend. All abilities are very welcome. Please bring your own yoga mat. All other equipment will be provided. I will be taking a maximum of 14 on this weekend so please book early if you would like to come. Please email me to reserve your place (just click on the Contact Jane button) and I will confirm that a place has been reserved for you. Please note that I am unable to refund your deposit so if you do need to cancel, please note it is ultimately your responsibility. I will of course endeavour to assist you as I do usually have waiting lists. Balances payable by February 28th 2019. The nearest train stations are Bodmin Parkway (35 minutes) or Exeter (60 minutes but a much quicker train journey). You can even travel by helicopter as they can land in the surrounding fields!